Renault Middle East has teamed up with digital music streaming platform Anghami to invite music fans to create their own music videos using Anghami Expressions and a range of special limited-edition Renault filters and stickers. 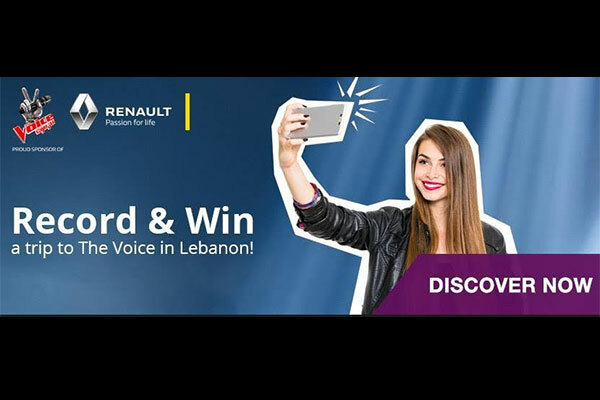 Budding music artists can share their personalised music videos featuring a number of Renault emojis on their social media pages for a chance to win tickets to The Voice Arabia final in Beirut on May 12. This fun new digital competition follows the recent launch of Renault’s ‘Koleos Karaoke’ competition – a showroom activation which sees customers who test drive any Renault model automatically qualify to take part in a singing competition in a custom-made recording studio installed inside Renault’s most popular* SUV, for a chance to win one of three brand-new Renault Koleos SUVs.